October holidays are almost here. This has been a very quick term indeed. I hope all returning children and new starts are all well and truly settled in now. 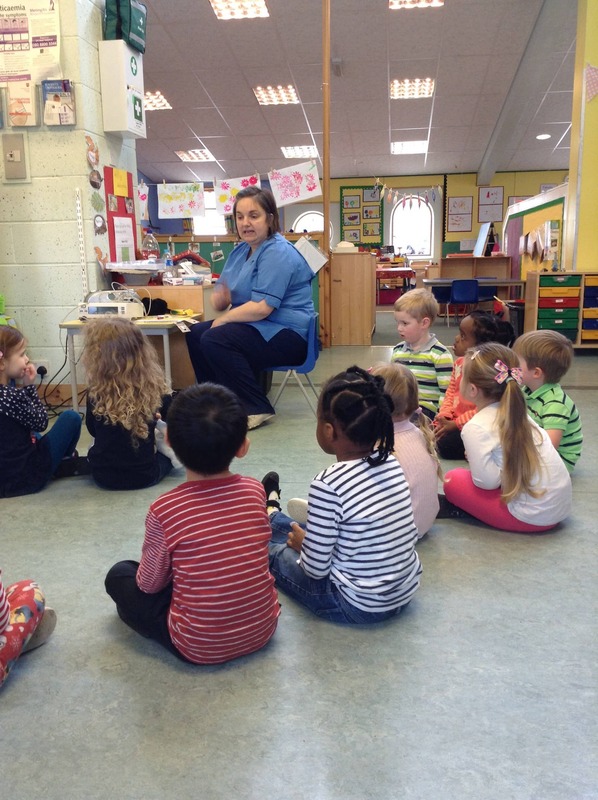 The staff and children have been working very hard this term to improve the nursery environment. Please let us know your thoughts on these by popping a comment up on our development tree. We have joined EasyFundraising to help us raise some much needed funds to replenish and update our nursery resources. Please help us earn some extra pennies by signing up through the link below. Every time you shop we can earn some extra pennies too! Please find a link below to the nursery newsletter for term 4. There are many important dates coming up this term for trips and transition. 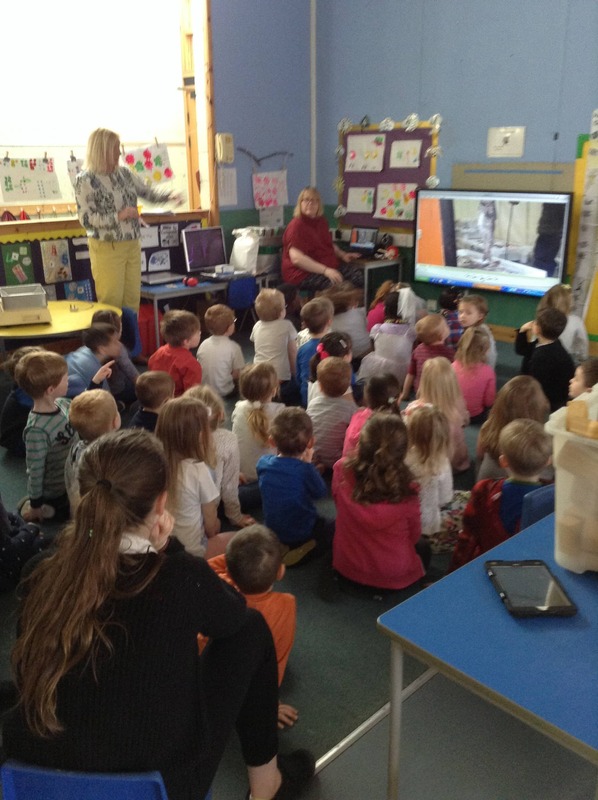 We were very lucky to have some special visitors come and talk to us about their jobs and how they help us. 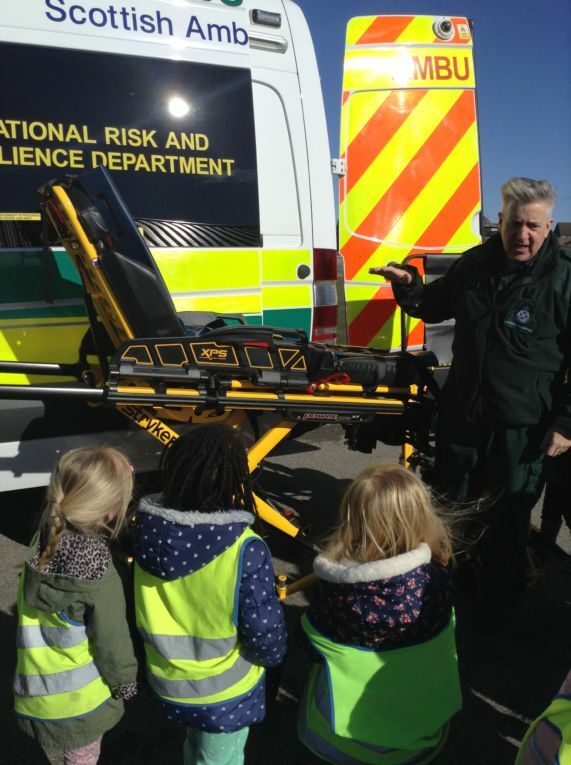 We first had a visit from a paramedic who showed us the inside of an ambulance and all the different parts that help us if we’ve hurt ourselves. We even got the chance to sit in the special chair that lifts people into the ambulance! Next the fire brigade came to visit us and they brought their fire engine. We then got to sit inside the fire engine and see all the different parts of it including ladders and tools. 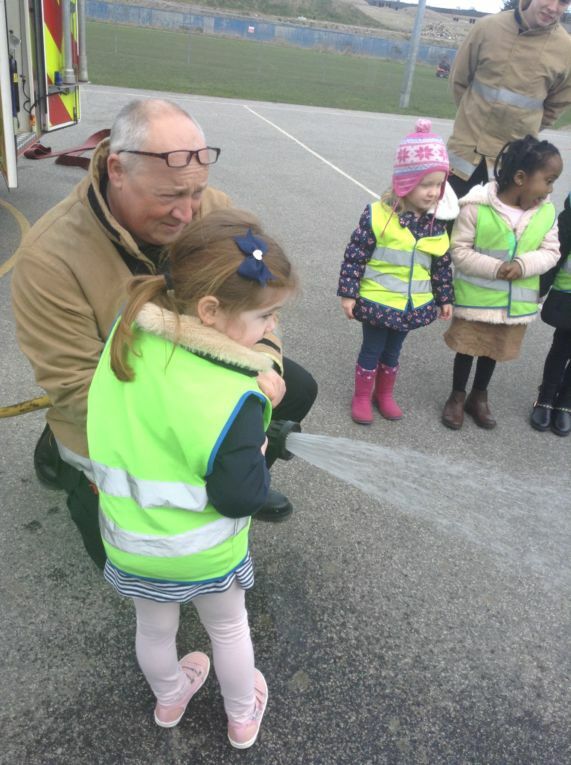 We then each got a turn of using the hose which was very powerful. 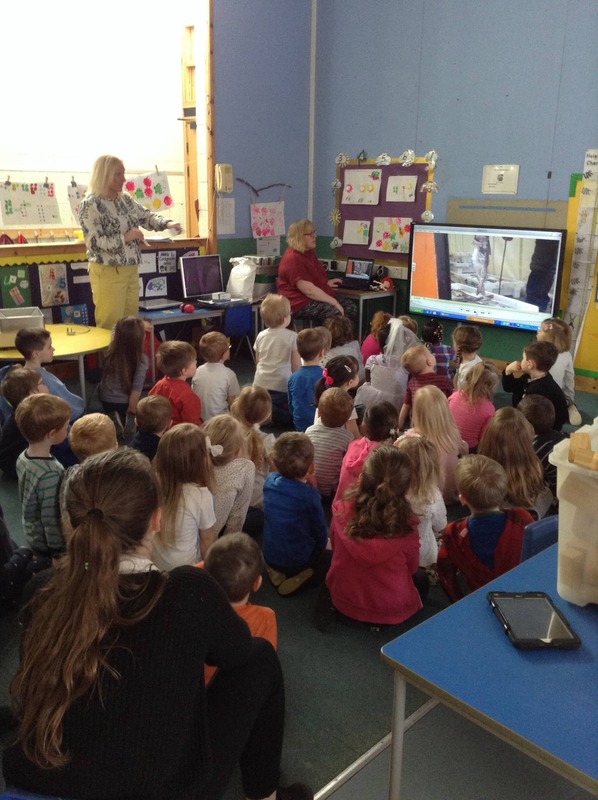 Both of these visits helped us learn even more about the different people that help us and what they do. It was a wonderful experience that we all thoroughly enjoyed. A big thank you to all the people who took the time to come and visit us we greatly appreciated it! 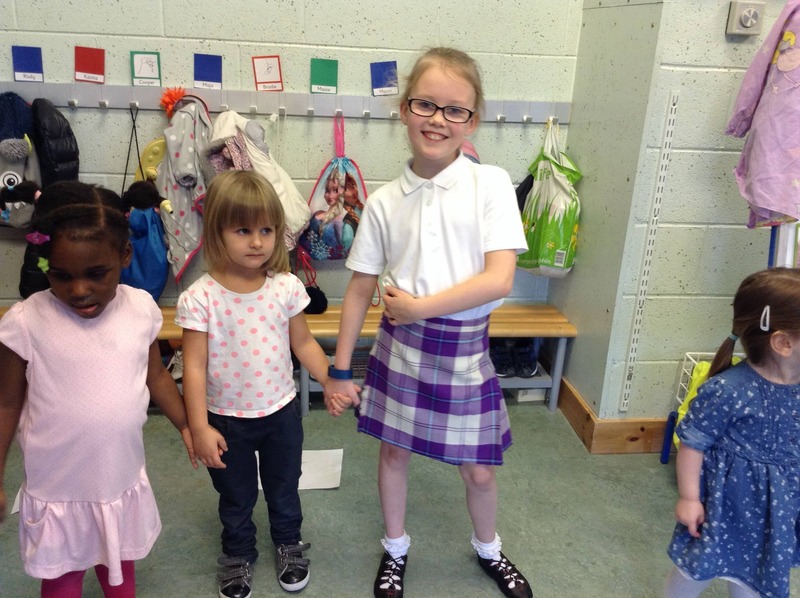 Please find a link below to our agreement to support parental involvement within the nursery. 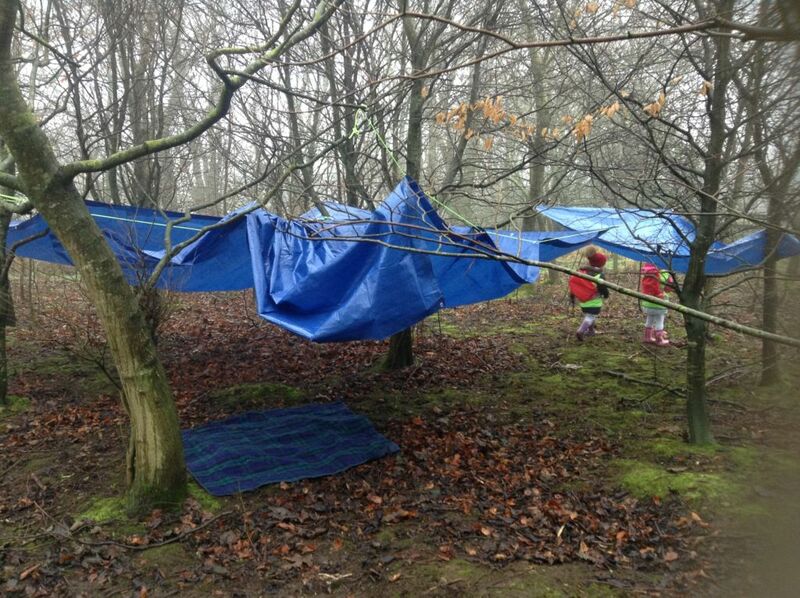 We would welcome any thoughts on the rationale and any ways that parents can further be involved with the nursery. 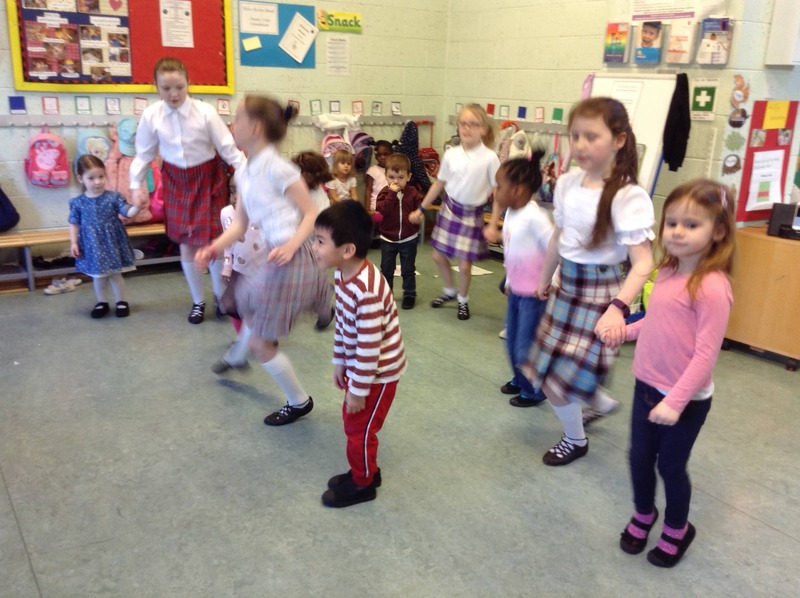 We are fully up and running with our ‘Welly Wednesdays’ now that the better weather has started to appear. We have been exploring our local woodland walk and have had fun collecting many things along the way including sticks and acorns. 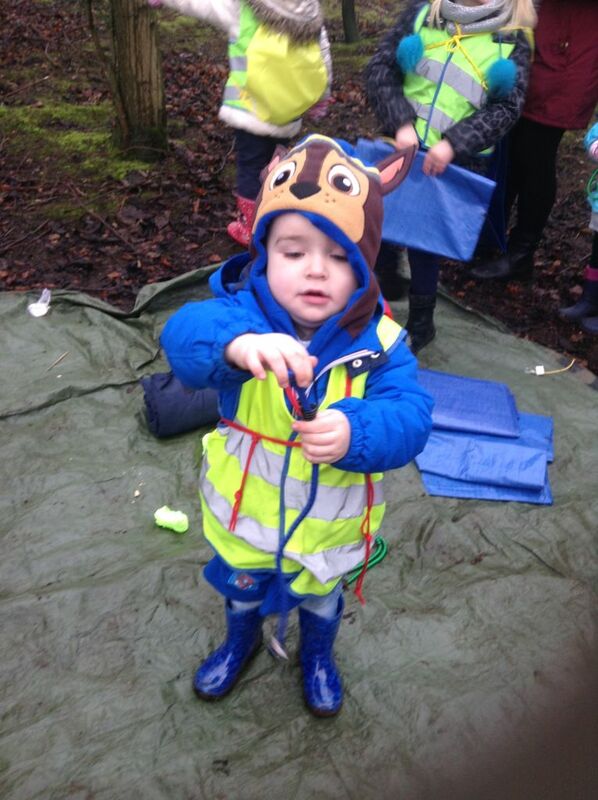 During our walks we have also been busy building dens and using sticks to make a variety of objects including fishing rods. 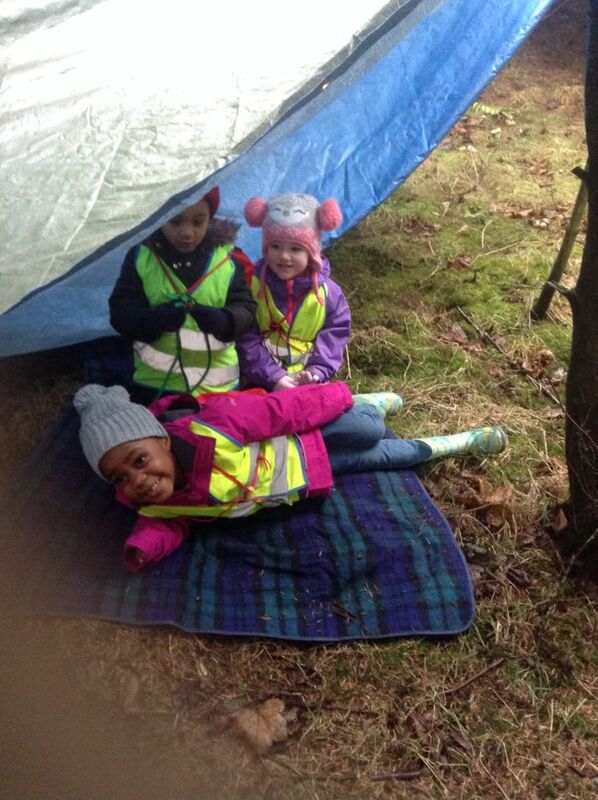 It is a great experience for the children to enjoy the outdoors and to discover what they can make with natural materials to further enhance their play. A big thank you to everybody that has volunteered so far with our sessions and please keep an eye out for further sign up opportunities, as without volunteers this experience wouldn’t be possible. 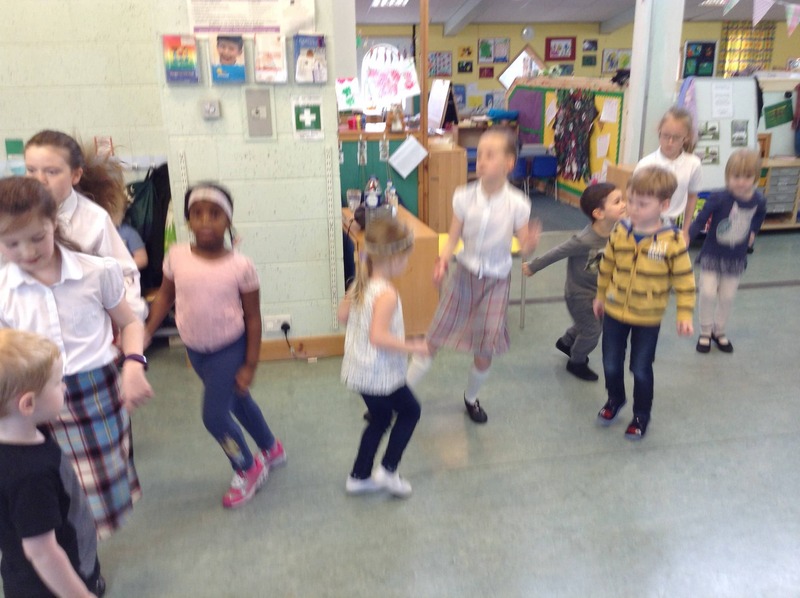 Please find below a link to our current Nursery Priorities. These are priorities that we aim to achieve this year. Please see a member of staff if you have any ideas or comments that will help us reach our goals. We have been learning all about Vehicles this term. 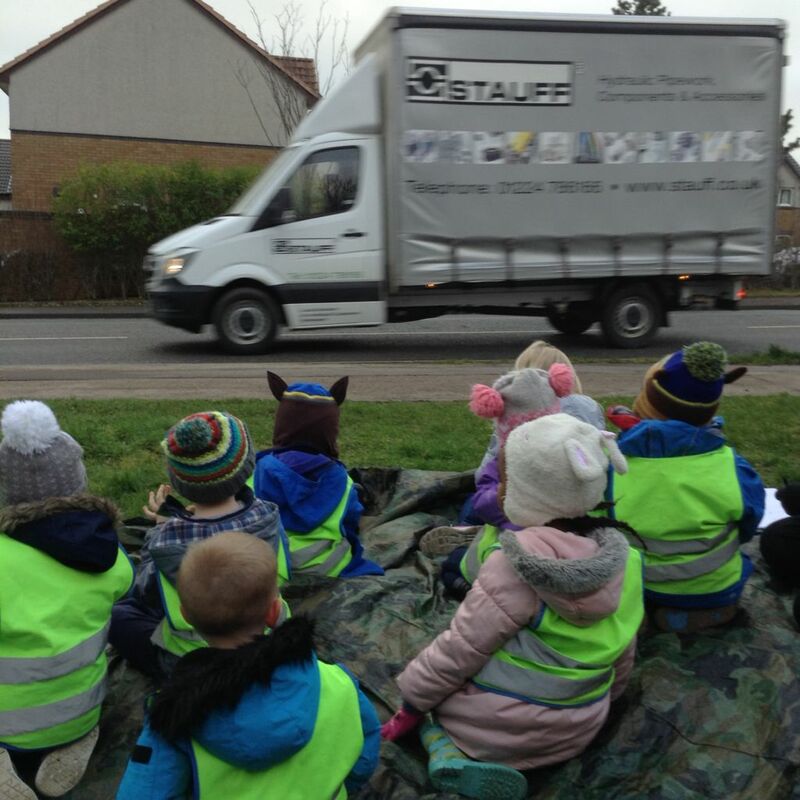 We decided that it would be a great idea to see what vehicles we could spot outside our nursery. Armed with hats, jackets and scarves we found a great place to sit that we could easily see all the different types of vehicles that drove past. 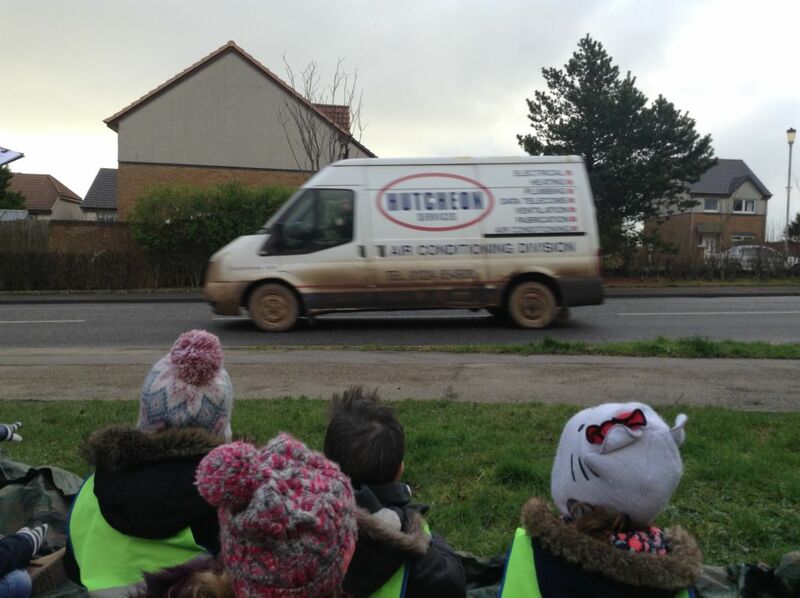 We saw many cars, vans and even the bus, that some of us knew was the number 18 that went to Dyce! We kept a count of all the different types of vehicles that went past to see what we saw the most, which turned out to be cars. This was a really fun and interesting experience and we were really excited each time we saw a different type of vehicle drive past. All children who reach the age of five on or before the start of the new school session in August 2017 should begin to attend primary school in August 2017. 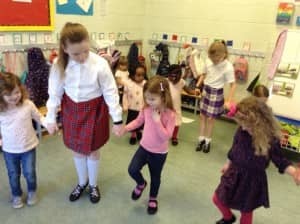 Children who reach the age of five after the start of the new school session in August 2017, but before the last day of February 2017 may also be enrolled for primary school in August 2017. You should visit your zoned primary school from 11th January to 20th January 2017 to enrol your child. To enrol please take your child’s birth certificate and proof of address to the school with you. If you wish to apply for any other primary school other than your zoned primary school you need to submit a placing request. Please remember that your child is only entitles to a Primary 1 place in your child’s zoned school. If you child attends nursery in a school that is not the child’s zoned school this does not entitle the child to a place in that school. 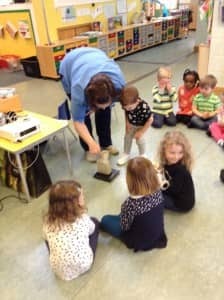 As it is road safety week, in nursery we have been learning how to cross the road safely. 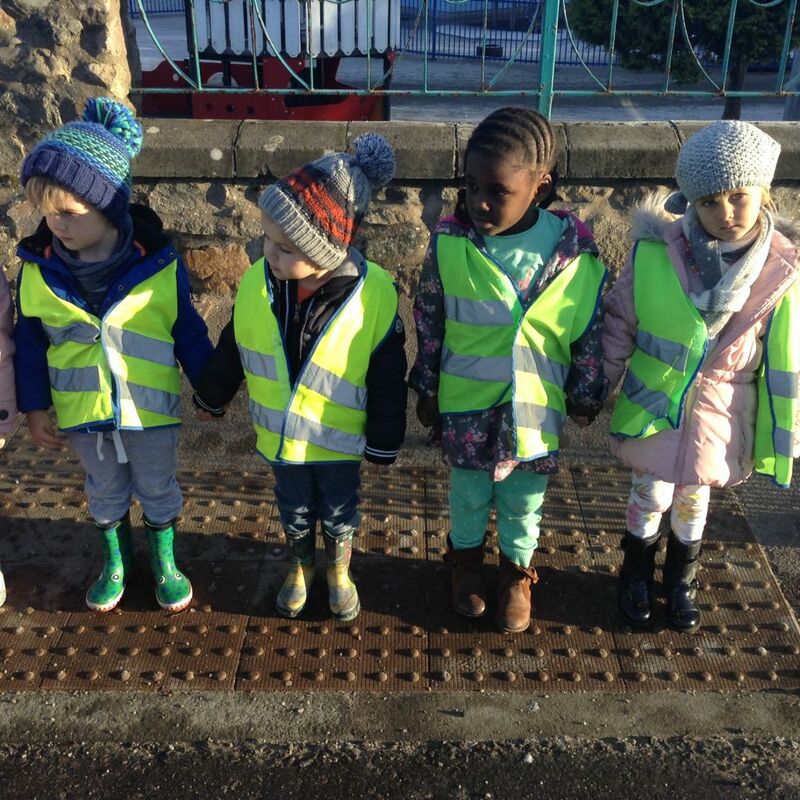 We went for a walk outside nursery to see the different kinds of road crossings that were nearby and how to keep ourselves safe near traffic. We learned that it is important to stop at the curb and to check in case any cars are coming. Also that we need to stay with an adult and hold hands when crossing the road. 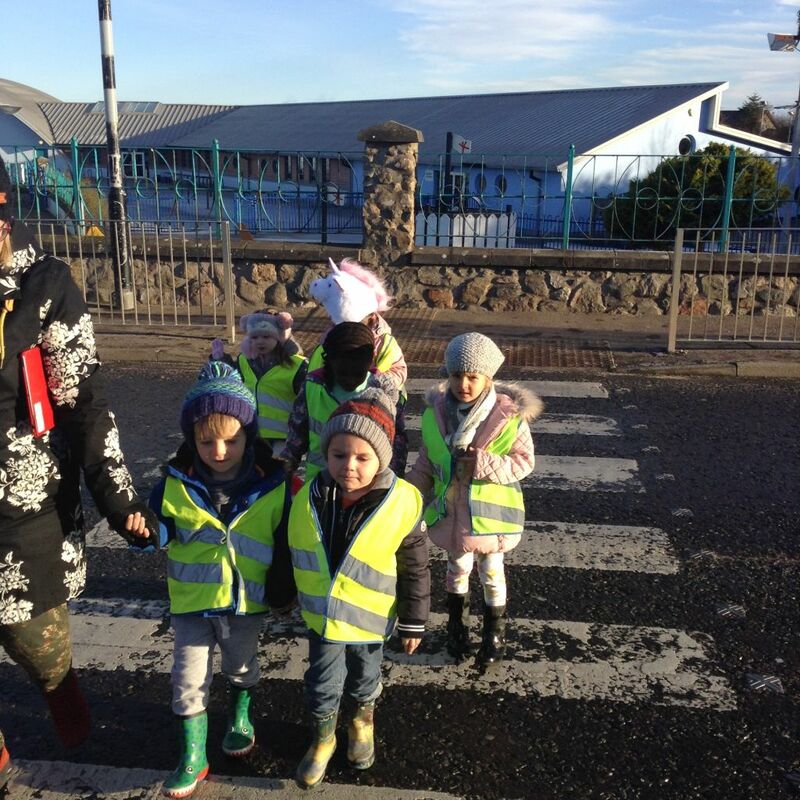 We have a great time going on our walks and enjoyed learning how to keep ourselves safe when crossing the road. Remember to take part in our Parental Challenge for ILD and a reminder that there are prizes for all participants. Any questions about this challenge please see Miss Graham. Here is the latest Newsletter for Nursery for Term 2. Any queries please see a member of staff. 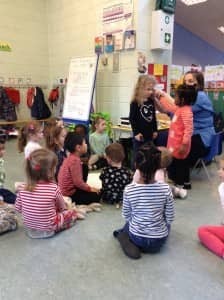 As part of our Maths week we have had visitors in nursery sharing how they use maths in their every day lives. Jackie visited the morning class to share how numeracy is used in the fishing industry. The children enjoyed watching clips and learning about how fish are cut and weighed. Dawn visited the afternoon class for an interactive session on the use of numeracy in nursing. The children really enjoyed weighing different fluids, checking each other’s temperatures and exploring numbers on different machines. Thank you Jackie and Dawn! 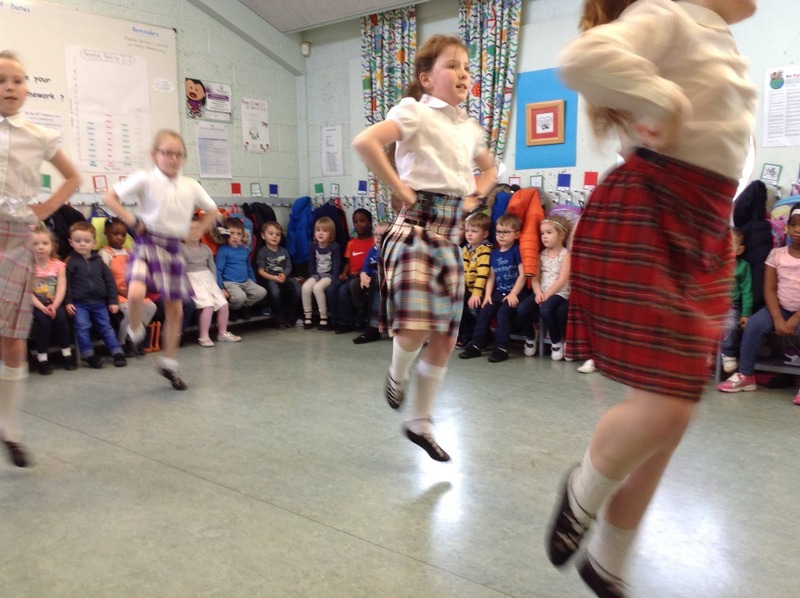 Children across school from Nursery to P7 will be celebrating the importance of maths from 21st – 24th March. We will have some visitors into school and activities we can take part in. As part of this, we would like to get the parent’s involved too through our Maths Week Parental challenge. Take a picture and upload a comment onto your child’s ILD by Friday 25th March to receive a small prize. Please remember you are all welcome to come into our open afternoon on Thursday 24th March. Meet at 1:30pm in the gym hall. From here you will be able to come into nursery and have a look at what we have been up to in nursery. 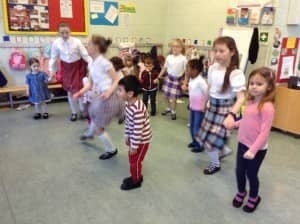 What a treat we had in nursery today! 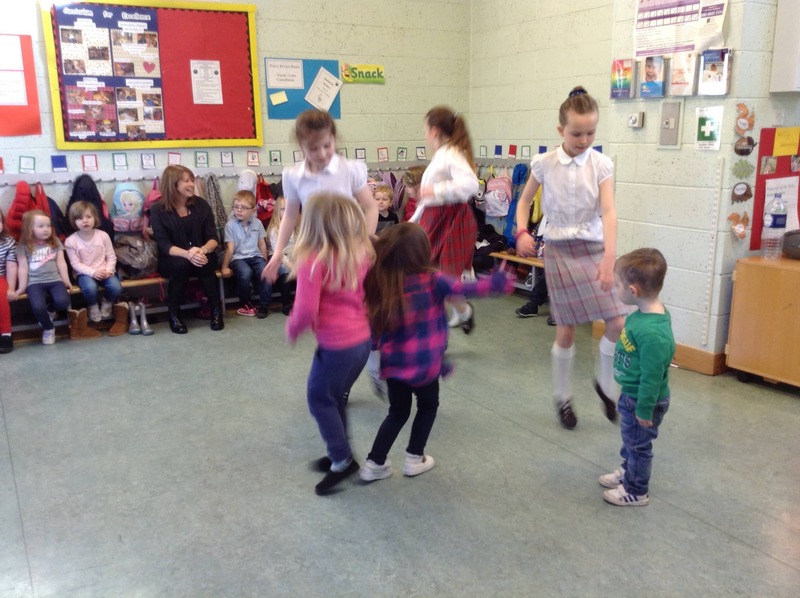 Natalie, Emma, Eleanor and Katie from P5 came to show us some highland dance. 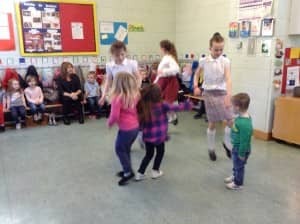 The girls gave us a great demonstration and then the boys and girls got to have go too!